Update: Just wanted to give a quick summary and some of my thoughts from last night's hot show. What an incredible night in Asbury Park last night! Finally accomplished something I've always wanted to do...catch Bruce Springsteen in Asbury Park. I firstly want to thank Pam who was gracious enough to sell some extra tickets to myself and my good friend Evan. Bruce first made his appearance with Willie Nile jamming out on the song "One Guitar" which got the entire place fist pumping and on their feet. Shortly after, the next full band to come up on stage was La Bamba, Bruce came out after two songs and started a 4 song set with Southside Johnny. Bruce took over the band for one song, This Little Girl Is Mine, which was written by Bruce and given to good friend Gary US Bonds, who sadly could not make event due to illness. 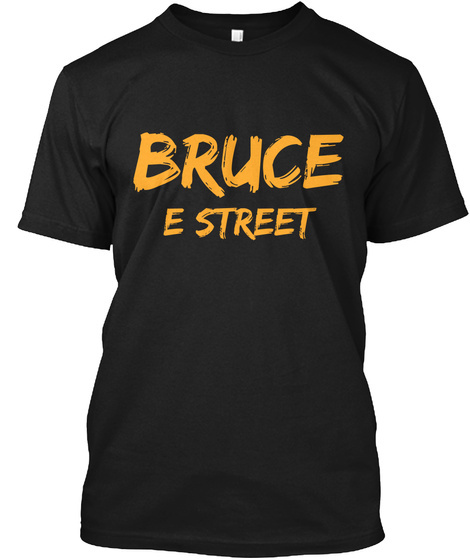 Bruce played this song with Bonds twice back in the 2012 Metlife Stadium shows. Southside came back out and the band jumped right into a great version of Higher and Higher, then ended the La Bamba set with I Don't Wanna Go Home. Then came the time of the night for Joe Grushecky and The Houserockers! The curtain rises and there is Bruce with his acoustic guitar getting ready to play a beautiful solo acoustic version of Janey Don't You Lose Heart. The Houserockers came out with Bruce's guitar whaling, instantly knowing that the band was about to kick into a red hot Adam Raised a Cain. It was safe to say that the Paramount Theater roof was just blown off. Right after Adam, Bruce asks a stagehand for some shots of Tequila as they jumped into a toned down version of Savin' Up. Bruce knocking back several shots while moving around and having a good old time. From Small Things was simply a fun rocker that had many people singing and dancing through the theater. A few songs later Bruce played the famous Darkness on the Edge of Town which is always an amazing song to hear but it just felt even better being in Asbury Park and him jamming in the Paramount Theater. I also wanted to note that Springsteen's fingers were working magic. He was going off on the guitar especially during his Because the Night solo. Literally an incredible version and I'm not sure a video on YouTube could do it justice. As @PointBlankSpain wrote on Twitter, "This is the closest to a '78 solo we'll ever get. My my my." I could not agree anymore. It was simply pure magic. The night came to a close with all musicians coming out on stage and playing Light of Day, Thunder Road (Acoustically), and The Promised Land. All in all it was an incredible night and one that I'm sure I will never forget. Also keep in mind about the cause of Light of Day and how the event tries to raise money and find a cure for parkinson's disease. Thank you to Bruce who continually shows up to show his support and to all the musicians who made last night a night to always remember. Check out some of the photos and videos below from the show! Plus, one of Bruce's final remarks was "see you next year."